Entrepreneurship and immediate impact are professional themes that continue to resonate with HBS students. Entrepreneurship Through Acquisition, a popular 2nd year course taught by Rick Ruback and Royce Yudkoff, teaches specific practical skills that are required to become an effective entrepreneur through acquisition. In recent years more and more HBS students are choosing to forgo traditional corporate employment, opting instead to find, fund, acquire and run small businesses. 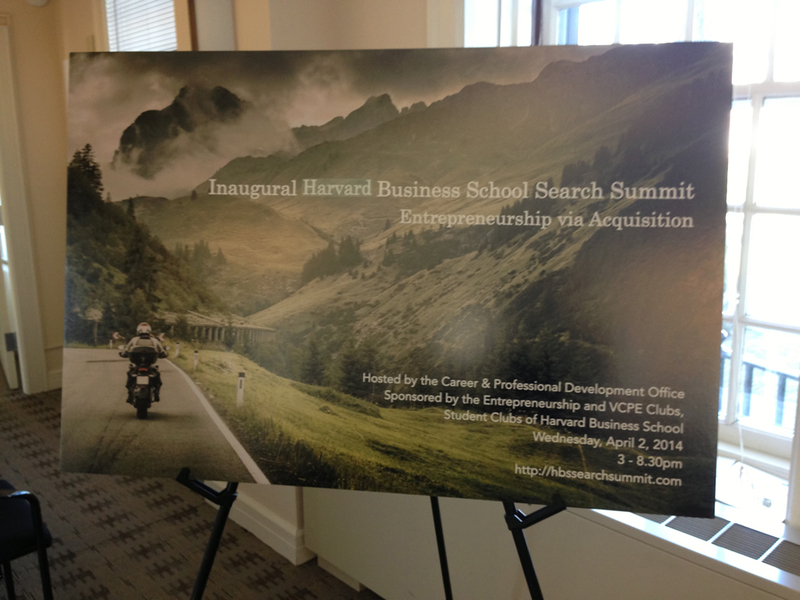 On Wednesday, April 2nd, HBS Career & Professional Development, in conjunction with the Venture Capital & Private Equity and Entrepreneurship Clubs, hosted the inaugural HBS Search Summit. The event provided a forum for nearly 150 students, searchers, entrepreneurs, investors, faculty, thought leaders and industry advisors to meet and discuss the many aspects of entrepreneurship through acquisition. The formal sessions were followed by a casual reception where the participants could connect, network and share ideas. The inaugural Summit was a success and we look forward to seeing it grow and evolve in the years to come.